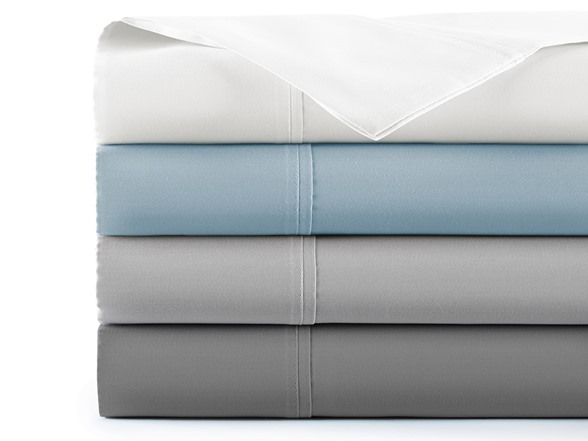 Refresh your master suite or guest room in style with the 1800 thread count cotton-blend sheet set. 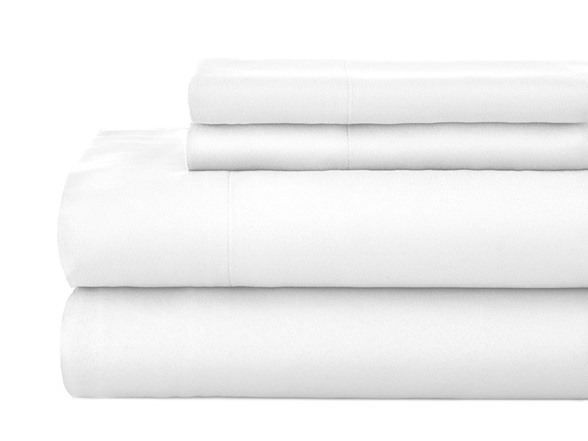 Expressly woven cotton and polyester blend, the weave is designed for the cotton to be the face of the sheet and the fabric that will be against your skin. 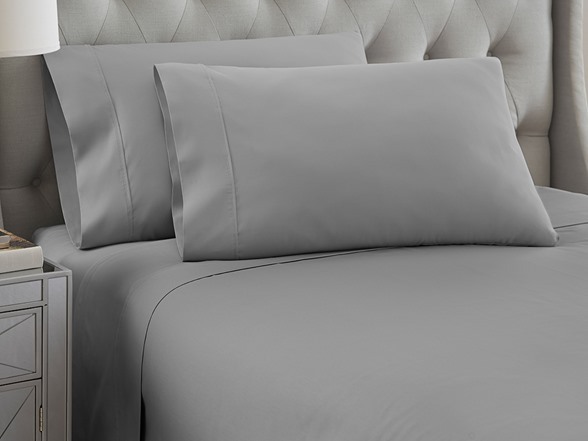 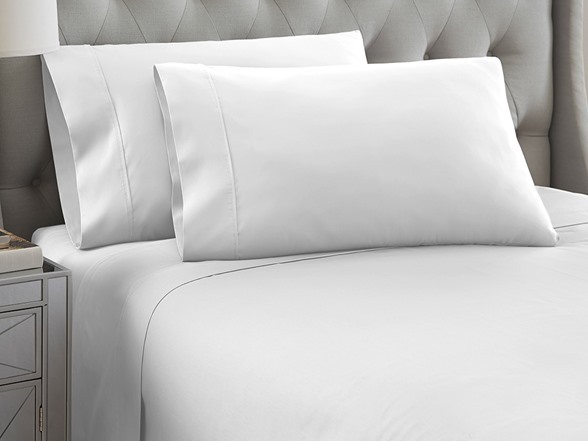 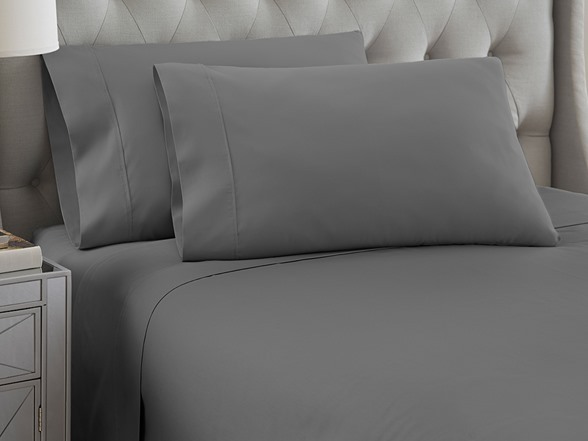 Crisp and clean looking and easy-care, these sheets are the perfect blend of luxury and comfort. 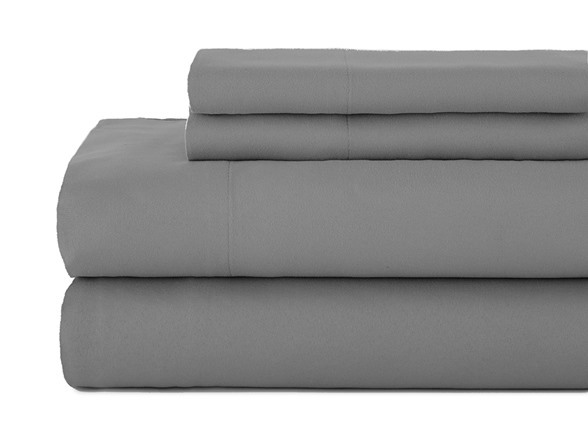 Deep pockets fit mattresses up to 18". Twin fits mattress up to 16". 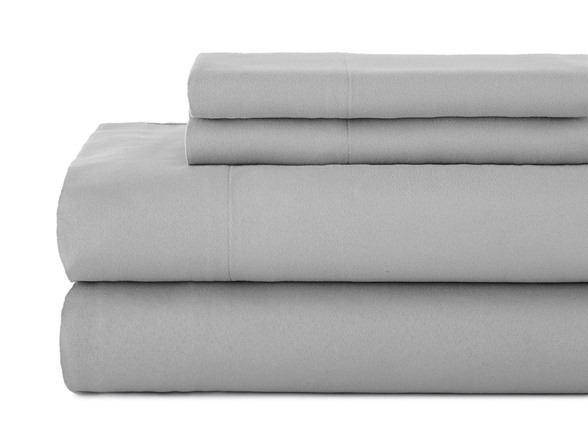 Twin 3-Piece: Flat Sheet: 96" x 66"
Full 4-Piece: Flat Sheet: 96" x 84"
Two Pillow Case: 20" x 40"
California King 4-Piece: Flat Sheet: 108" x 102"
Fitted Sheet: 84" x 72"